A 9=4.86cts. 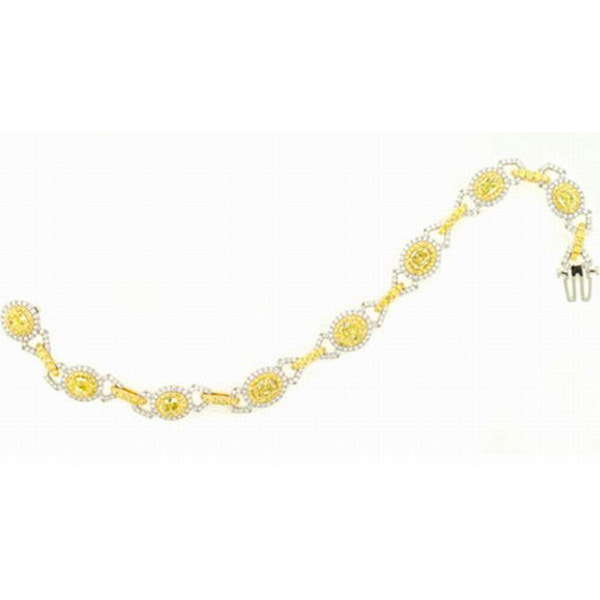 Radiant Yellow Diamonds Bracelet set with 225=1.64cts Round Melee Yellow and 306=1.78cts Round White Melee Diamonds. Made in 18KW&Y gold 27.39gr.